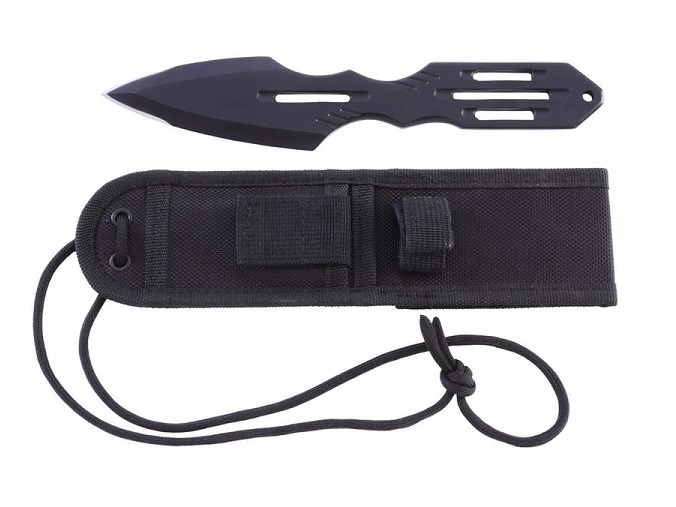 Features 420 stainless steel handle, double-edged black blade with non-glare finish. Measures 9" overall with a 4-1/4" blade. Limited lifetime warranty. Gift boxed.